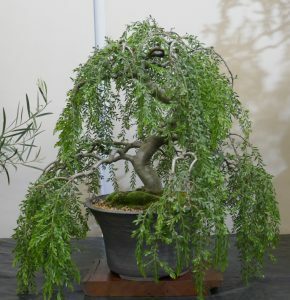 A night focused on Acacias – what a topic to dip our toes into! 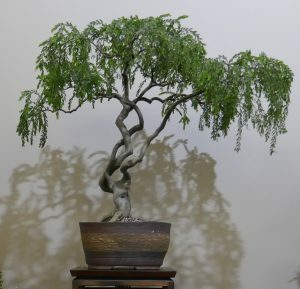 With nearly 1000 species of Acacia found across Australia, there is an extensive range of possibilities for bonsai, many of which we only dream about. 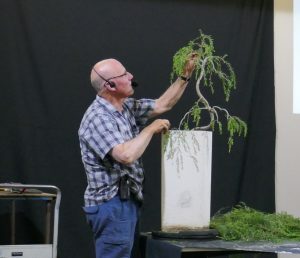 There is just so much potential bonsai material amongst the Acacias that we can only report on experience and knowledge relating to a small proportion of the range of species. 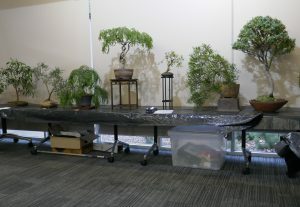 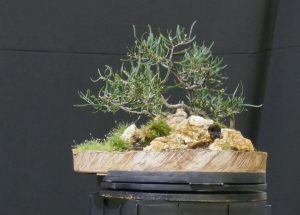 The presentations and demonstrations on the night, and the trees on display, provided an interesting grounding in growing Acacias as bonsai. 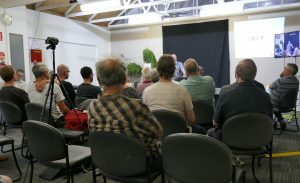 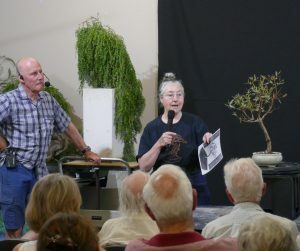 Presentations by Kevin and Quentin covered the essentials of Acacia features, the differences found between species in growth habits, leaves (including the differences true bipinnate leaves, phyllodes and cladodes) and flower structures, and the natural and cultivation characteristics of a number of the species which club members are growing as bonsai. 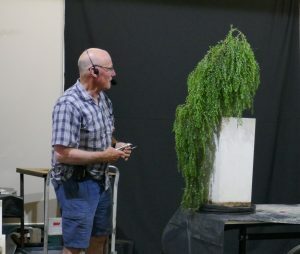 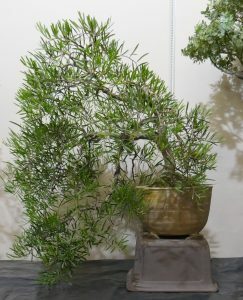 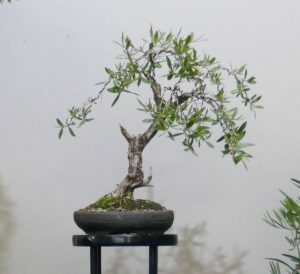 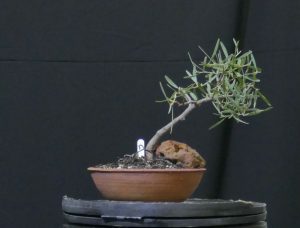 Quentin provided a fascinating demonstration of what can be done with a young untrained Acacia howittii grown in an ornamental container, converting a plant with a mass of foliage into one where the interesting trunk will have much more prominence, and not be obscured by excessive crown growth. 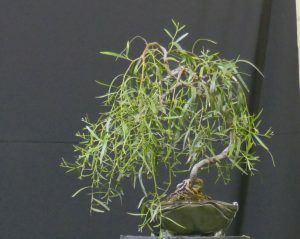 Sticky Wattle with most foliage and several branches removed, trunk exposed, and ready for next growth phase. 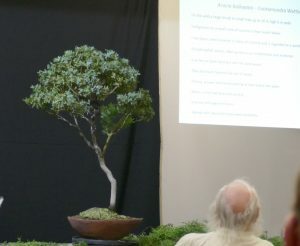 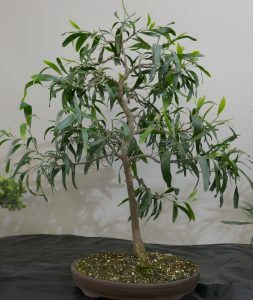 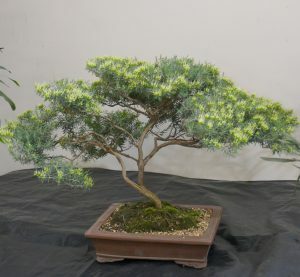 Several examples of wattles being grown as bonsai were reviewed, along with information about their natural growth characteristics and their appearance in the wild.